Berry Nails Aren't Just For Christmas. Ok, so the shade doesn’t exactly scream Spring/Summer, but hear me out? Obviously I am committed to my SensatioNail Gel Nail Starter Kit, there’s no question there, but I was desperate one night for a pamper, and I was literally crawling the aisles of Boots looking for a cheaper, quicker alternative to amazing nails. I spent last weekend (Friday – Monday) looking after Phoebe so I had packed the bare minimum when it came to beauty products, rookie mistake, I didn’t even pack moisturiser! So, when it came to Sunday I was crying out for skincare saviours, hence being overly spendy in Boots.. Possible haul post coming soon? I then spied Essie’s Gel Couture nail polish range on offer. I think it was buy one get one half price and I thought; PERFECT! I have always been a fan of Essie polishes, and the range of shades were much better than any other brand I had seen. I painted my nails on Sunday night, it is now Wednesday and they are still pretty perfect considering I didn’t do much to prep them beforehand, because, ya know, your gal was a bit of a squirrel brain. I have also not really taken care of my hands, like, I have done cleaning, dishes, etc. with no rubber gloves, and yes, my hands in general are suffering slightly from dry skin, but my nails remain relatively unmarked. One thing I can’t stand is chippage. Nothing makes me feel less put together than less than perfect nails. The shade I went for was called Spiked With Style, and obviously I bought the Top Coat too. I honestly believe this colour is perfect for all year round, especially for work, events, that kind of stuff. It was really quick and easy to apply too. I had read that no base coat was required, but please correct me if I'm wrong! I was even pretty confident that I could still do small jobs around the house just after they had dried. I have sometimes found with some nail polishes that they bubble whilst drying, and I was pleasantly surprised that this nail polish didn't. 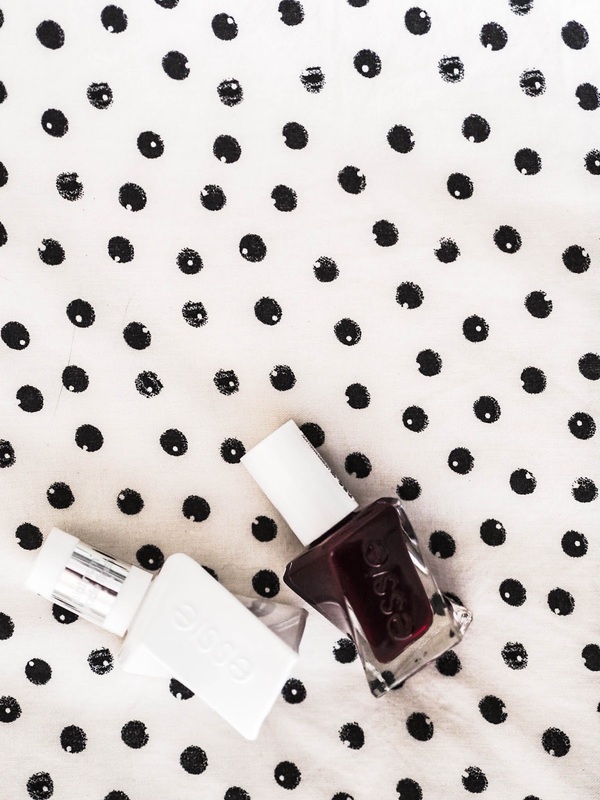 Have you tried out the gel range from Essie? What did you think? Please tell me I wasn't the only one completely drawn in by the chic packaging!